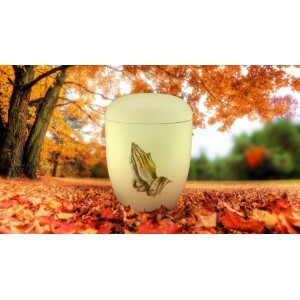 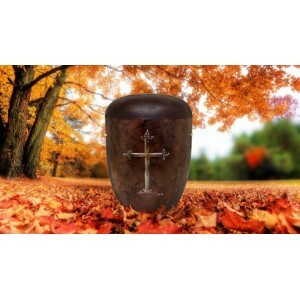 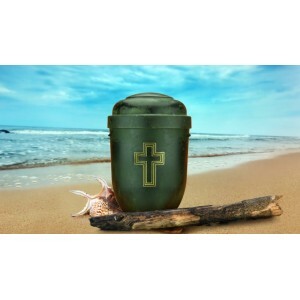 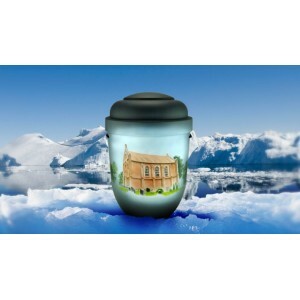 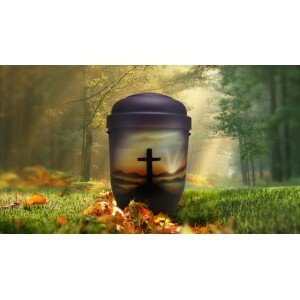 A ll our selection of religious eco urns are individually handmade by skilled craftmen to produce a dignified and fitting tribute to those we love. 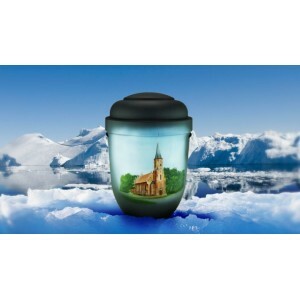 Our aim is to produce beautiful and comforting eco-friendly funeral products to mark the passing of a special person. 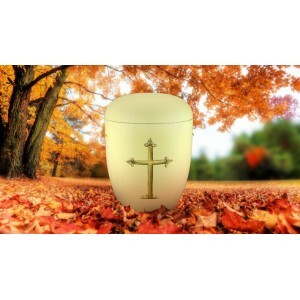 Make your choice with the confidence of exceptional customer service matched with our low pricing policy. This celestial blue urn has been beautifully and caringly handmade by skilled craftsmen, m.. 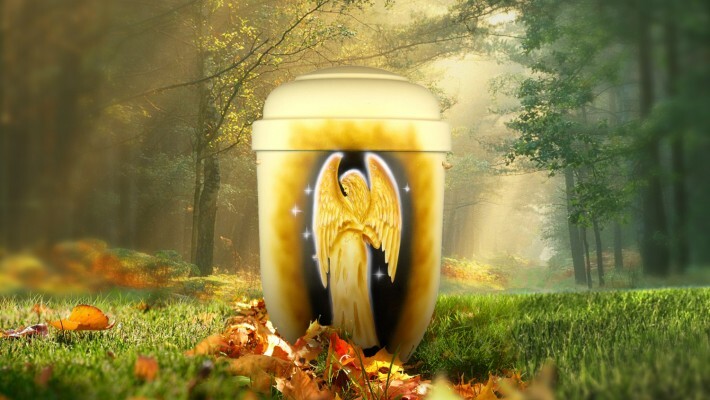 This cornish cream urn has been beautifully and caringly handmade by skilled craftsmen, ma.. This colourful grey urn has been beautifully and caringly handmade by skilled craftsmen, making.. This highland green urn has been beautifully and caringly handmade by skilled craftsmen, m.. This liberty blue urn has been beautifully and caringly handmade by skilled craftsmen, mak.. This monument black urn has been beautifully and caringly handmade by skilled craftsmen, m.. 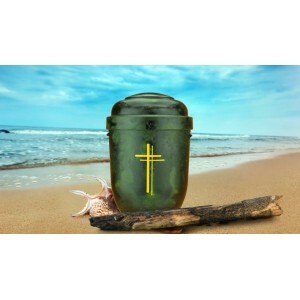 This paradise green urn has been beautifully and caringly handmade by skilled craftsmen, m.. This red urn has been beautifully and caringly handmade by skilled craftsmen, making each .. This colourful red urn has been beautifully and caringly handmade by skilled craftsmen, making .. This stunning metallic finish urn has been beautifully and caringly handmade by skilled cr.. 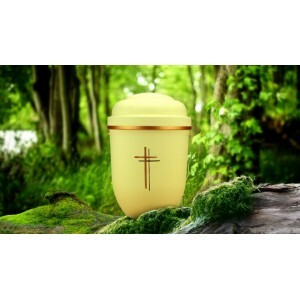 This gold metallic finish urn has been beautifully and caringly handmade by skilled craftsmen, .. 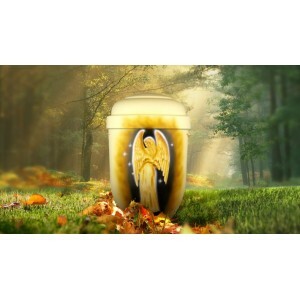 This metallic finish urn has been beautifully and caringly handmade by skilled craftsmen, makin..